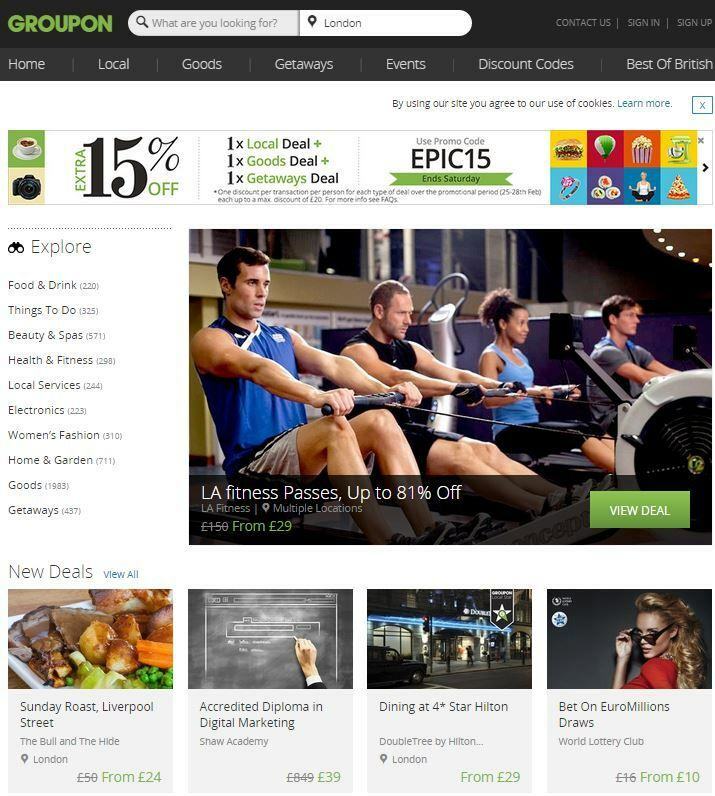 Groupon is the most well-known online voucher site around. It lists daily deals on a wide range of activities and goods including spas and getaways as well as restaurants and cheap hotels. With huge discounts, traditionally expensive excursions and gifts can be affordable for all. Just be wary that the event isn’t sold out, as some still remain listed – and if you’re looking for contact details, keep on reading, as you won’t find them on the website. Don’t forget to refer a friend to get a £6 Groupon credit reward once they’ve made their first purchase! Call 0843 504 1755 for customer support, but be prepared to wait. Groupon.co.uk provides thousands of discounts on entertainment, activities and goods – meaning there is usually an offer for you in there somewhere, whatever you’re into. With daily offers added, you shouldn’t have to wait too long before something catches your eye. Visit our London Vouchers section for all the best sites offering vouchers, offers, discounts and deals.